This post is supposed to be the first of a series dedicated to the Great War poets. There is no need to spend too many words on this topic, today we have plenty of dedicated websites, you can always take a look at the list of links beside that is constantly getting longer and where you can already find out something that is worth a look. If you are interested in the First World War, you surely know that it meant also a new season for the entire world poetry. We will propose every time a single poem in English and of course in the original text. 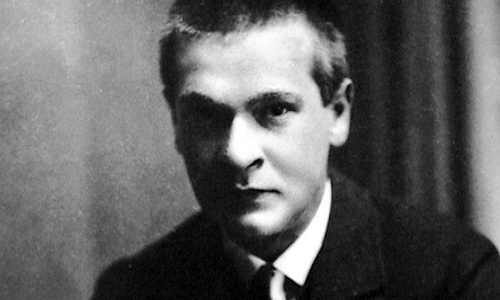 The first poet of the series is Georg Trakl (1887, Salzburg - 1914, Kraków), for sure one of the most important 20th century German writing poets. At the war's outbreak, Trakl was sent as a medical official in Galicia (he worked as a chemist apprentice at "Zum weißen Engel", a chemist in Salzburg). After the carnage of Gródek, Trakl had to guard a post where ninety heavily wounded soldiers were gathered. He could not count on medicines or on medical support. He could not stand this and tried to shoot himself, but was disarmed at once by his comrades. He died some days later of a cocaine dose, at the military hospital of Kraków. All the roads lead to blackest carrion.